The Wotton Walking Festival includes walks that take place in and around Wotton and the surrounding towns and villages between 10th and 12th of May; they vary in interest, length and difficulty. For the walks programme and further information please visit the website. Woodchester Mansion will be hosting artists Matt Pilston, Nina Braddins and Rose Illingworth. Their work will be on display in the Mansion, and the artists will be available too. Admission to the studio is free. If visitors to the SITE festival want to see more of the historic Mansion, we are offering a special admission rate of £5pp to all adults on the four festival days (11, 12, 18, 19 May 2019). These little garden bird mosaics are designed to interact with their environment, reflecting and refracting light so that they change throughout the day. On this one day workshop you will produce a stained glass mosaic bird on a stalk to brighten up your garden. You will be able to make a bird of your choice from a limited selection of shapes. Skills covered on the course will include mapping out of your original design, basic glass cutting, stained glass mosaic techniques, and grouting techniques. This course is suitable for all levels although glass cutting skills are a bonus. Come along to Diana Aungier-Rose's workshop where she will help you widen your creative horizons. This 3 hour course is designed to show you how to create your very own, custom lampshade. You will spend the course learning how to make a standard drum shape lampshade (20 or 30cm diameter) and we will provide all materials needed and the guidance to help you make your own creation. We will offer a large selection of fabrics; however you are welcome to supply your own should you wish. This course is suitable for complete beginners, and we guarantee you will be hooked after this course (we were!) and will want to re-shade your entire home. 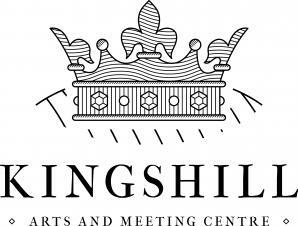 Tickets available at www.kingshillhouse.org.uk or ring the office on 01453 549133. An introduction to the most delicate and ancient of art forms – painting on silk. Different from silk screen printing, silk paintings are one-off original artworks painted on real Habotai and Pongee silk. During this relaxed and friendly workshop you will be guided through the process of creating your own silk paintings, from the design stage, to stretching the silk, to applying the gutta outliner and applying the silk paints themselves, as well as creating a few special effects! Using summer flowers as inspiration you will create two flowery silk paintings during the workshop, one suncatcher or wooden framed piece for hanging from a window or wall and another stretched silk painting ready for framing or giving as a gift. Let your creative juices flow for a relaxing day of flowery silk painting fun! A great introduction to making your own lino prints. You will be guided in the design, cutting and printing processes and will make a block that can be used to print on paper or fabric. You will use easy to cut lino, and at the end of the day you should have a number of good prints to take away, as well as a block that can be used again. No experience necessary and don't worry if you can't draw! During this 9 week class you will get to create and complete up to 6 different projects where you will learn about and use a variety of different techniques. Freestyle Sculpture – To make this you will be using rough crank clay and use a coil and slab technique with texture. Your finished sculpture will have an oxide and stoneware firing. The dates for this class are: 29 April, 6, 13 May, 3, 10, 17, 24 June and 1, 8 July (Small charge for materials to be made payable to the instructor during class). 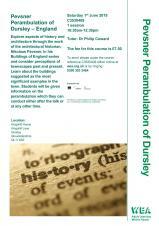 Tickets available at www.kingshillhouse.org.uk or ring the office on 01453 549133.
conduct either after the talk or at any other time.